Perfect for: Dry, Damaged tresses that need a moisture hit! You`ve dyed, you`ve fried, so take your dull hair to the bright side! Help moisture-deprived hair to the ultimate recovery. Let this potion help strengthen & shine your worn out locks. This shampoo is great for dry, damaged hair in much need of moisture. Infused with turbo hydration molecules, Bed Head Recovery Shampoo boosts softness and shine, while protecting colour. 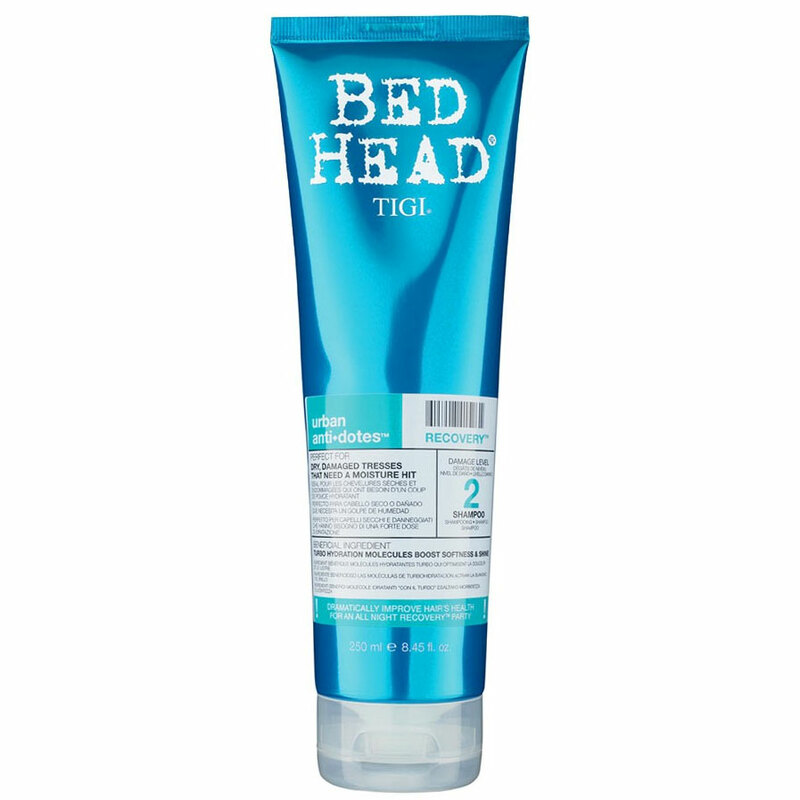 Bed Head Urban Antidotes Shampoo protects from thermal and combing damage while maintaining moisture balance for hair coping with changing environmental conditions. Massage into wet hair and rinse thoroughly. Follow with Urban antidotes Recovery Conditioner for a perfect finish. Avoid contact with eyes.